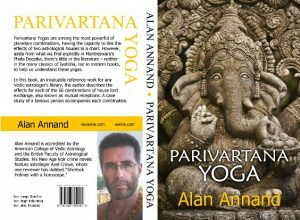 Last year, while researching a book on Parivartana Yoga, I discovered several famous people with identical mutual receptions pursuing the same profession. One such stellar pair, guitarists Keith Richards and Jimmy Page, I’ve already discussed in an article on my website Navamsa in June 2016. What caught my eye in the present case were not two, but three, famous directors with a mutual reception between 3rd and 4th lords. Upon closer inspection, I found many more common factors. Aside from all three being Italian, their lives exhibited several similarities, courtesy of their common astrological attributes. 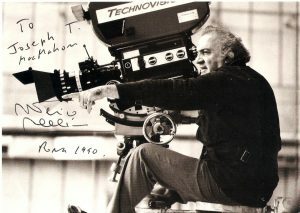 Fellini was born 20 January 1920 at 9 PM in Rimini, Italy. Although his name is virtually synonymous with avant-garde filmmaking, he began his career as a magazine and gag writer rather than a director. His career enjoyed many successes alternating with disappointments, his most famous films being 8½, La Dolce Vita and Amarcord. In a career spanning 50 years, he received 12 Academy Award nominations and won four Oscars. He had one long-term marriage, lost his only child shortly after birth, suffered depression and underwent psychotherapy. Revered in Italy, his memorial ceremony was attended by 70,000 mourners. 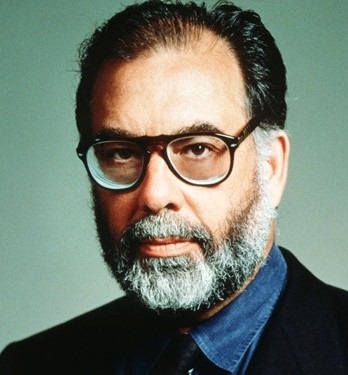 Coppola was born 7 April 1939 at 1:38 AM in Detroit, Michigan. He came from an accomplished artistic and musical family, suffered polio as a child, and was such a nerd his friends called him “Science.” His father wanted him to be an engineer, but he won a screenwriting scholarship to UCLA and thus embarked on a movie career, initially as a writer. His film career was successful but turbulent, earning multiple Oscars against a backdrop of recurring financial problems. His most famous films were The Godfather, Apocalypse Now and Bram Stoker’s Dracula. 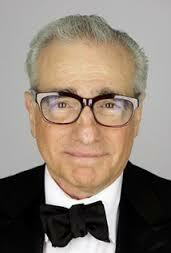 Scorsese was born 17 November 1942 at 00:24 AM in Flushing, New York. He had asthma as a child and was unable to play sports so his part-time actor parents often took him to the movies. His career started modestly but grew steadily, and he’s now regarded one of the finest directors of the era. His best-known films are Taxi Driver, Raging Bull, Goodfellas, and The Last Temptation of Christ, many of which express themes of violence and spirituality. He has had longstanding working relationships with fellow Italians Robert De Niro and Leonardo DiCaprio. By virtue of their role, directors must control every aspect of a film. Fellini had Leo, Coppola Sagittarius, and Scorsese Leo rising. Fire is a controlling element, as exemplified by its association with the kshatriya (ruling) caste. Leo in particular is also known for its commanding performance. You have to be crazy to risk your life in the cinema. Fellini has a dark (new) Moon in the 6th, in a Saturn sign, where it is afflicted by Mars. For a time, he suffered from clinical depression. Coppola has a debilitated Moon in the 12th, a Mars sign, but seems not to have suffered any depression. It helped, perhaps, that he’s owned a Napa vineyard for decades, and planets in the 12th can indicate inebriation. Scorsese’s Moon is in the 7th in a Saturn sign, afflicted by Saturn and Ketu. After burning out on cocaine, he fell into a depression, rescued only by friend Robert De Niro who insisted they make another movie together. You’ve got to be in it for the long haul, and overcome all kinds of obstacles. Fellini’s Saturn occupies his first house. He started at the bottom and worked his way up the ladder, suffering almost as many setbacks as successes. Coppola’s Saturn occupies his 4th house. 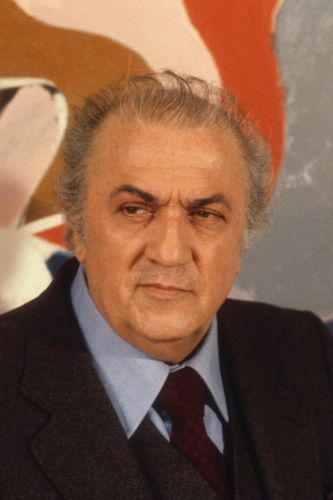 He got a good education and enjoyed early success (The Godfather at age 32) but he suffered under studio rule and often felt on the verge of being fired. Scorsese’s Saturn occupies his 10th house. He’s been very productive, enjoying far more hits than flops, and his reputation looms larger as the years go by. If the Sun reflects the ego, Saturn is the reality that the ego must face. Fellini has Sun/Saturn in mutual reception across the 1st and 6th houses. His health wasn’t great (respiratory and heart problems) but he had a competitive spirit. Coppola has Sun/Saturn conjunct in the 4th. He came from an accomplished artistic family, received an excellent education in film, suffered major financial setbacks, but accumulated much in the form of real estate. 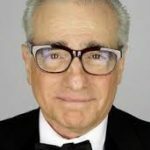 Scorsese has Sun/Saturn opposed in the 4th and 10th. He’s taken on so many projects he seems to be a workaholic, but keeps getting better as he gets older. Mars evokes passion and violence, while Saturn reflects loss and sorrow. Fellini’s Saturn aspects his Mars in the 3rd, reflecting his respiratory problems. Coppola’s Mars and Saturn, traditional enemies, antagonize each other by aspect. 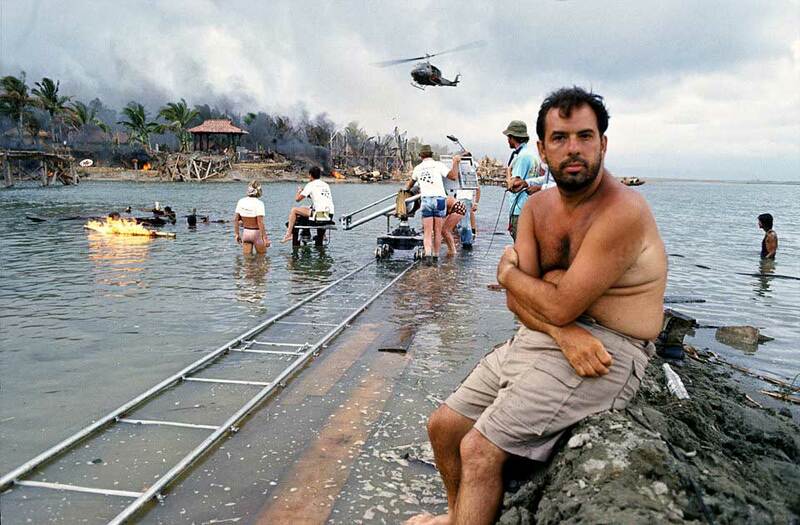 Coppola wrote scripts for three war movies: Is Paris Burning?, Patton and Apocalypse Now. And as lords of the 12th and 2nd, loss and money, respectively, they invoked his two bankruptcies. Scorsese’s Mars/Saturn are in a 6/8 relationship. His most important films reflect his fascination with violence and criminal elements of the underworld. The 5th reflects the creative mind, children and drama. 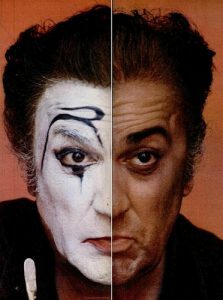 Fellini’s 5th lord Jupiter is exalted and retrograde in the 12th house, where it’s afflicted by the Sun and a dark Moon. His only son died of encephalitis a month after birth. Coppola’s 5th is occupied by a strong Ketu, while its lord Mars is afflicted by Saturn. Coppola’s oldest son died in a bizarre boating accident. Scorsese’s 5th lord Jupiter is exalted and retrograde in the 12th house, where it’s aspected by Saturn. He has three daughters, two of whom are actresses. Such a configuration allows for interpretations on many themes – mother, education, property, and the heart. In reality, with the 4th lord having moved 12 houses away, this potentially poses problems for all of the above. In virtual post-exchange, however, this can likewise benefit many of the same, since both the 3rd and 4th lords will occupy their own signs after exchange. The lords’ association with, and aspects from, other planets help to determine the outcomes. The “migration” between 3rd and 4th lords can also reflect changes of residence, property and/or schools. Fellini had mutual reception between Mars and Venus. The 4th lord Mars is afflicted by both Rahu and Saturn. He suffered a bad heart. He also had to relocate from his birthplace Rimini to Rome in order to find work, his career and ultimate success. Coppola has mutual reception between Jupiter and Saturn. The Sun and debilitated Mercury compromise the 4th house to some degree, while Venus in the 3rd provides stability. His mother (4th) was an accomplished singer, his sister (3rd) an actor, his older brother (11th) was a writer, whose son (3rd) is actor Nicolas Cage. 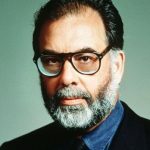 Coppola attended 23 different schools in the course of his education, and he owns a great deal of property – two estates in California, and resorts in Belize, Guatemala, Argentina and Italy. Scorsese has mutual reception between Mars and Venus. His 4th house is moderately afflicted by the Sun and Saturn. His mother was a bit actor and died with Alzheimer’s. To succeed in any art, the artist must first master the medium, but second, challenge and overthrow its conventions. Scorsese once identified the four roles of a director: storyteller, illusionist, smuggler and iconoclast – with a talent, respectively, for narrative, imagery, symbolic meaning, and breaking the rules. Of those, both illusion and revolution are strongly associated with the nodes. Fellini had the nodal axis in the 3rd and 9th houses, signs of Venus and Mars. Pre- and post-exchange, Venus and Mars alternate positions to join Rahu in the 3rd, a house reflecting honed artistic talent. Many of Fellini’s films contain elements of surrealism, and the meanings of some images have been debated by cineastes for decades. The South Node in the 9th house twice invokes philosophy and spirituality – first, because it’s the 9th, and second, because it’s Ketu, “the headless One” which implies surrender, or absence of ego. Ketu is at home in Aries, with whose lord Mars it shares some affinities. 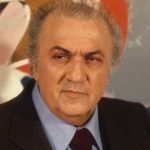 Fellini underwent Freudian analysis after his bout with depression and later became interested in Jungian symbolism, which likely informed his use of surreal imagery. At one time he became friends with Carlos Castaneda, hoping to do a movie about a spiritual hero, the yaqui sorcerer Don Juan of Castaneda’s series. Coppola has a Kala Sarpa Yoga that bisects his chart through the 5th and 11th houses, in signs of Mars and Venus. Themes of children and creativity, group work and income are likely. Ketu, a malefic, is strong in the 5th. Coppola’s oldest son died in a bizarre boating accident caused by Ryan O’Neal’s son. Ketu’s dispositor Mars and Saturn mutually aspect each other. Their struggle invokes war of a kind, a prime example of which is Apocalypse Now with its cocktail of adventure, psychological parable, and surrealism in the jungle. Another form of war (with society) is organized crime, on which the Godfather series dwells. Nodes in the 11th, aside from reflecting an eclectic social circle, also indicate irregularities in income. Scorsese has the nodal axis running across the horizon, with Rahu closely conjunct the ascendant, and Ketu with the Moon in the 7th. Aside from his passionate embrace of violent themes, Scorsese’s innovative style includes lots of slow-motion, freeze frames and long tracking shots. The Moon and Ketu are doubly affected by Saturn, which both disposits and aspects them. 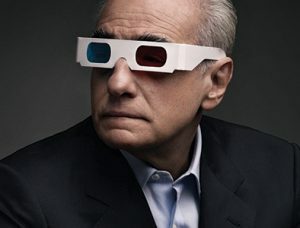 The ephemeral Moon and the Mars-like Ketu in the 7th is a poor prognosis for marital tranquility; Scorsese has been married five times. The Rahuvian-type individual is notoriously reluctant to be reined into conventional relationships. Venus is a general significator for artistry, while the 3rd house represents among other things both physical performance and mastery of literary or musical technique. In all three directors’ charts, Venus plays a dynamic role in the 3rd house. Fellini’s Venus exchanges with Mars to occupy its own sign in the 3rd. When he was young, Fellini loved to sketch, perform puppet shows, and draw caricatures. In the early part of his career, he wrote for a humor magazine and contributed jokes for comedies before turning his hand to writing his own screenplays. Coppola’s Venus occupies the 3rd in a friendly sign, supported by benefic Jupiter. 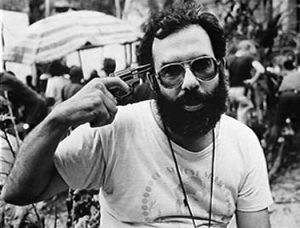 Coppola too was involved in puppet theatre, and learned to play the tuba so well that he won a scholarship to a military academy. He studied scriptwriting at university, wrote several screenplays and one of his three Oscars was awarded for his role as screenwriter. Scorsese’s Venus exchanges with Mars to occupy its own sign in the 3rd. Although Scorsese has been single-mindedly focused on film as his metier, a review of his work reveals a great appreciation for music: he shot the Michael Jackson video Bad; his movie The Last Waltz was about The Band; he shot a 7-part TV documentary on The Blues; No Direction Home was a documentary on the life of Bob Dylan; Shine a Light covered the tail end of a Rolling Stones tour; and Living in the Material World was a documentary about the life of George Harrison. He also writes non-fiction. Stellar Astrology offers a compilation of techniques, in-depth celebrity profiles, and analysis of world events. Parivartana Yoga is a reference text for one of the most common yet powerful planetary combinations in jyotish. Mutual Reception is an expanded companion volume for western practitioners, covering the same subject of planetary exchange through the lens of traditional astrology.